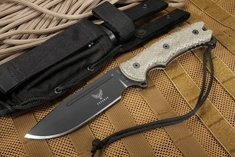 Freeman Outdoor Gear Knives available at KnifeArt are made for military personnel and outdoorsmen who want a tool that will reliably meet a long list of necessities. 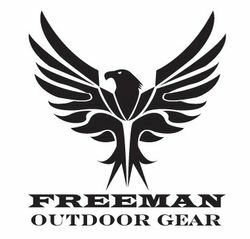 Premium knives for outdoor activities, Freeman Outdoor Gear Knives are made in Oregon for hard use and are built to last for generations. Designed by Jeff Freeman, the 451 Button Lock Flipper Folder is a smooth, button lock flipper with lightning-fast one-hand deployment with either the flipper or thumb grooves. 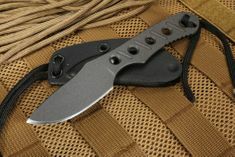 An ideal knife for everyday carry, the 451 can be used on the job, in the field or around the house. 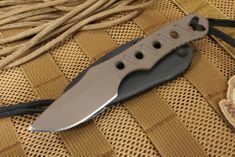 It has a 3.7-inch drop-point D2 steel blade with Cerakote Firearms Coating running on Grade 10 stainless ball bearings and an RC hardness of 58-60. 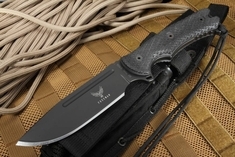 The handle is made of a 6061 Aluminum frame with a G-10 or Micarta handle insert for traction. The Compact Model 451 full-tang fixed blade field knife designed and made by Freeman Outdoor Gear has a 3 1/4-inch CPM-S35VN stainless steel drop point blade with a main flat grind and a thick secondary swedge for more toughness and optimum piercing ability. 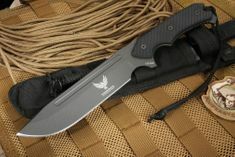 Its blade hardness is rated at 59-61. The 451 L.B. Field Knife has a heat-treated, double-tempered 5 1/2-inch full tang D2 steel blade with 58-60 RC hardness that is 1/4-inch thick in a drop point style with a swedge and Cerakote ceramic firearms coating. 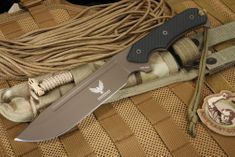 It's a heavy-duty, hard use field knife and an uncompromising cutting tool for the true outdoorsman, bushcrafter, hiker, camper or professional soldier. 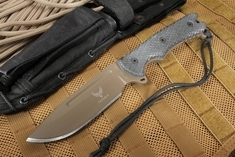 Whichever Freeman Outdoor Gear knife you select, when you order one from KnifeArt, you will get it with fast, free shipping.